How do I get access to CourseLeaf/CLSS? Please note, this is only for Phase I and Phase II schools. You may retake the quiz two more times, if you don’t score 80%. After the third try, you will have to attend a training session in person. If all is correct, access should be granted within 48 hours. How Do I Log into ELMS? How do I enter a new topic that is not listed in the drop down menu? Enter the new topic in the “Comments” section (i.e. New Topic: I Love Emory). Please note, topics are limited to 30 characters or less (including spaces and punctuation). How do I cancel a class in Refine Mode? What is the difference between data entered in the "Comments" vs "Notes" section? Text entered in the Notes section will go directly into OPUS and WILL be visible to ALL in OPUS. Text entered in the Comments section will only be visible to the Registrar’s Office, will NOT feed directly into OPUS, and will not be visible in OPUS. Can I use letters in section numbers? How do I create a non-standard meeting pattern? In the “Meeting Pattern Name” box, enter in capital letters the meeting day(s), a space, and then the time (i.e. Th 6pm-9pm). You must enter AM or PM. How do I create an additional meeting pattern? Once in a section, under schedule, select the link to the right of the calendar. There should already be a meeting pattern listed. Select “Meetings” at the bottom left of the screen. In the “Meeting Pattern Name” box, enter in capital letters the meeting day(s), a space, and then the time (i.e. F 6pm-7:30pm). You must enter AM or PM. What should I do when trying to log into CourseLeaf/CLSS and get "Loading Instances" and the spinning wheel? Please select the refresh button (highlighted below) or clear your history/cache. How do I change a current non-writing class to a writing class (or vice versa) in CourseLeaf? You must add the new class (writing) in CourseLeaf with the same details as the current (non-writing). That is, if everything will remain the same. 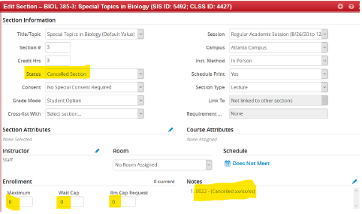 Change all of the enrollment fields of the current (non-writing) class to “0”, to ensure additional students don’t enroll. Ask the students to notify you if they would like to be swapped into the new writing class. You would then swap them, if it is during add/drop/swap. Notify the students that they will be swapped from the current non-writing class to the new writing. They may then adjust their schedules as needed. Once the students have been dropped from the current class or swapped into the new class, you would cancel the non-writing class in CourseLeaf. How do I enter an on-line class? How do I change the Grade Mode for a class? 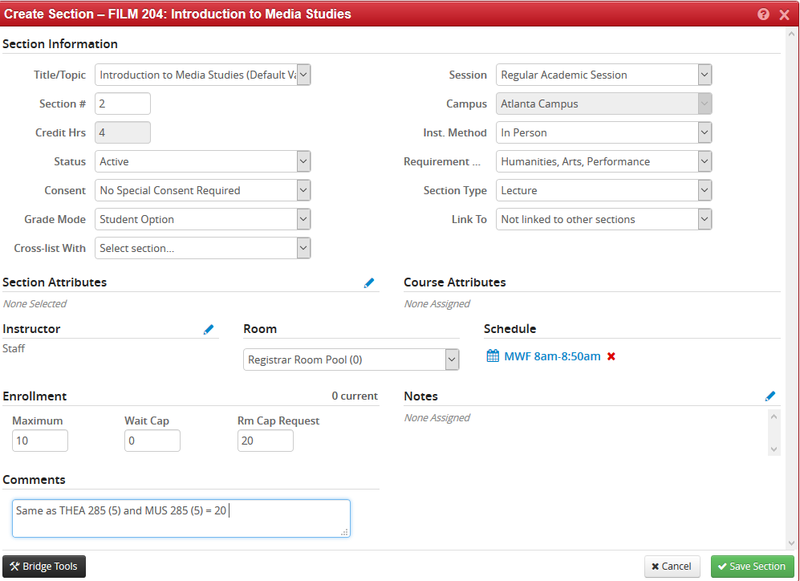 If the grade mode for the course is set to “Student Option”, you may enter in the comments section for example “change grade mode to graded” or whatever mode you would like it changed to. How do I add an instructor not listed in the instructor drop down menu? If there is a new instructor who is not listed in the drop down menu in CLSS, please enter that instructor’s name and employee ID in the Comments section. A new instructor must be entered into OPUS first by the Registrar’s Office. He/She will then be uploaded into CLSS. How do I enter a cross-listed class in CLSS? The originating department would enter the number of seats in the enrollment space for their allotted seats.  The originating department would enter the class(es) to be cross-listed in the Comments section. Note: The number in parenthesis is the number of seats allotted for each class. It is also good practice to include the total number of seats, so there is no confusion. Variable Credit Hours – When credit hours are changed from variable to fixed in CLSS, the credit hours revert back to variable in OPUS and CLSS. Instructor Role – Regardless of the instructor’s role, please select “primary instructor”. If the Instructor Role is anything besides “Primary”, please list the correct role in the comments section. If you select secondary instructor, teaching assistant, etc., the instructor will disappear from the class. This issue is being addressed.